No matter the size of your residence or business, let the moving and storage experts at the Toledo-based Stevens Moving & Storage of Toledo provide you with the service and satisfaction you expect from the leading local mover. What puts us above other Toledo Ohio moving companies is our dedication to customer service and our years of experience. Our company has been family-owned & operated in Toledo since 1969. With that much history moving Toledo, you know you can trust our movers. In short, moving with Stevens Moving & Storage of Toledo means that you’re part of the family. We take pride in serving our community, from being the trusted apartment moving company in Toledo to college movers & packing and unpacking services. We offer affordable, quality moving and storage in Toledo, all while treating our valued customers with the great respect and attention they deserve. See why the communities of Toledo and Northwest Ohio consistently turn to Stevens Moving & Storage of Toledo when it’s time to move. When you’re searching for local moving companies near me, get a quote from the best Glass City movers. There are good movers in Toledo, who will deliver your belongings to your new home, and then there are great Toledo moving companies, who communicate during the planning and moving process, can assist in packing your belongings, and whom you can trust to deliver your belongings safely. In short, moving with Stevens Moving & Storage of Toledo means that you’re part of the family. Whether you’re coming from Springfield or moving to a new home in Bowling Green, Stevens Moving & Storage of Toledo has the experience in Toledo to make any local move easy. When you’re looking for the best local moving companies in the area, remember that Stevens is the Toledo mover you need. We perform 1,500 moves per year, so our local moving crews have the knowledge and experience you require to ensure your move goes according to plan. Once you contact Stevens Moving & Storage of Toledo, your quote process will begin! During your first step, you will set up an initial meeting with one of our Stevens Moving & Storage of Toledo representatives. You can meet in your home or schedule a live-streaming video estimate with one of our moving coordinators! After the estimate, our representative will create a personalized moving plan designed around your needs and budget. Your move cost will vary depending on your needs and additional services. We provide convenient and affordable moving services with an emphasis on customer care and attention to detail. Spend less time worrying about your move and more time enjoying your new surroundings. Let Stevens Moving & Storage of Toledo do the heavy lifting. When choosing the best movers, start online. A quick search for “local movers near me” will help you generate a list of companies for you to begin contacting. 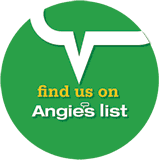 Once you have a list, you’ll want to check a few sources for good moving company customer reviews, including Google and the Better Business Bureau, to narrow your list down to the best local moving companies. When you’re ready to go ahead with your local move, choosing the right local moving company is essential to success. We have experience with the responsibilities and intricacies of any move, allowing us to plan for the expected and unexpected alike. Whether you’re dealing with our courteous and knowledgeable move representatives or our efficient and experienced movers, you can feel at ease knowing your move will be handled with grace. If you have questions regarding the services we provide, contact us or fill out our online form for your free quote today!